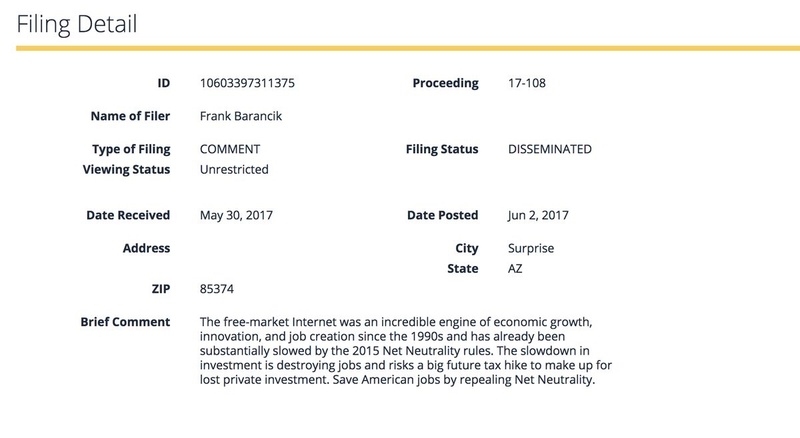 Two more dead commenters have been spotted commenting on the FCC’s foregone net neutrality vote, a small but not insignificant discovery considering that, while public outcry for net neutrality was high, FCC representatives dismissed most of supportive net neutrality commentary as spam. 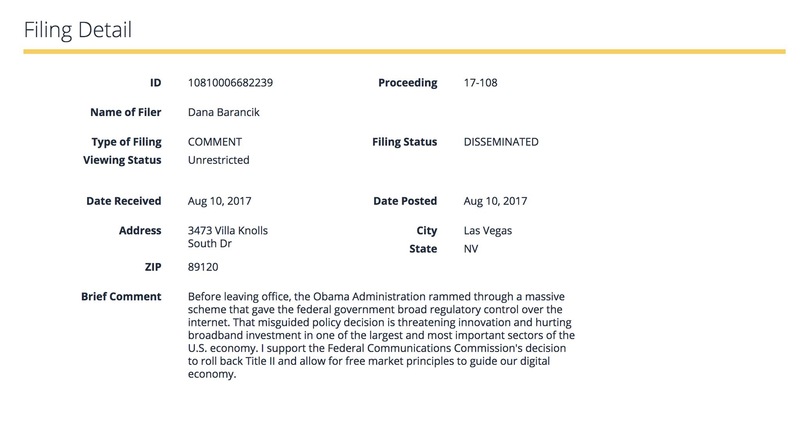 Hey, @AjitPaiFCC, how does my radically liberal activist mother, who passed away 4 years ago, post an anti-net neutrality comment to the FCC in August 2017?? What does this show us? First, that it is trivial to completely spam important databases with accurate-sounding information. A quick Google search brought up Mrs. Baranic’s name and address, and an intrepid list-maker could gather thousands or even millions of addresses for the living or the deceased in a few hours. That anyone with a keyboard and a little time could sway – and ruin – public commentary on a massively important political issue is frightening. What are next steps? As the FCC has noted, unvetted commentary has lost all of its weight online. Therefore the only answer is cryptographically secure identities tied to our person. Until this happens, expect the dead to vote and the unsuspecting to come out in favor of unfavorable opinions, at least when it comes to basic web forms on the FCC.